Directly embedding your campaign into your webpage is a great way to seamlessly include a call-to-action into your website. We detect if the visitor is coming from a mobile browser, and display an overlay prompting them to instead open it in a new tab for a seamless experience. 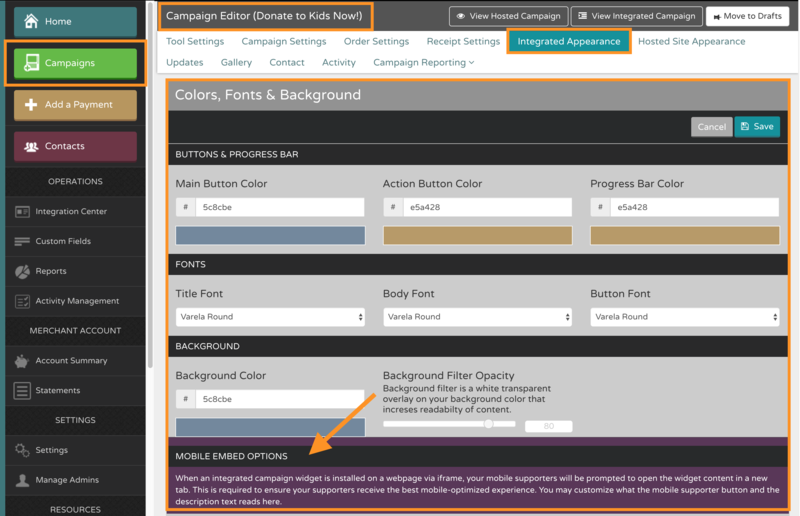 You also have the option of customizing the wording, as well as button color and button label to your liking.